Want to monitor your iPhone's battery life no matter what you're doing? With Power you can! While we already know you can check your Apple Watch’s battery life on your iPhone, what about the other way around? Can you check your iPhone’s battery life from your Apple Watch? As it turns out, you can, with the help of one app. I’m aware there are quite a few apps now available in the App Store that function the same way Power does, but I still find its simplicity and its ease of use to be my favorite feature. 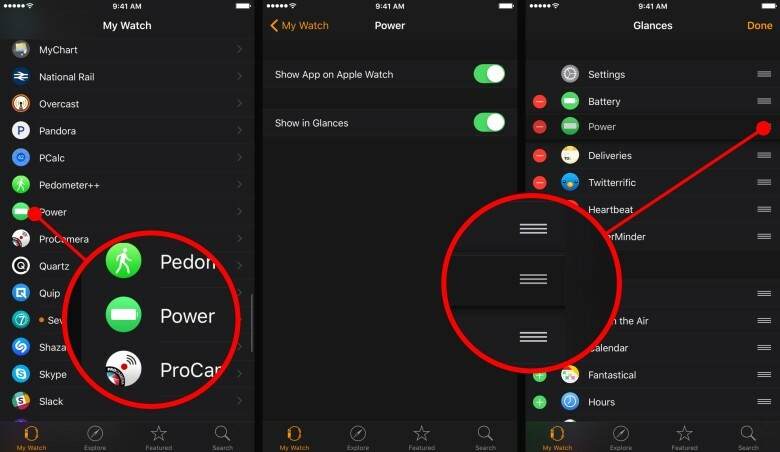 Once you’ve installed Power on your iPhone, you can easily check iPhone battery life on Apple Watch. All you have to do is enable the glance and position it where you’d like. I’ve found the optimal position to be the one directly after my Apple Watch stats. Install Power from the App Store. Find Power in the list of apps and tap on it. Enable both options for Show App on Apple Watch and Show in Glances. If you want, you can scroll back up to Glances and place Power in the position you’d like. As I mentioned earlier, I always put it in the position right after my Apple Watch stats. 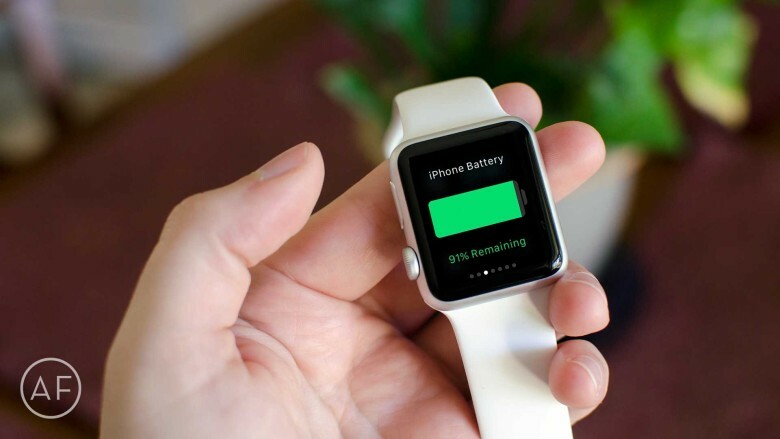 How to enable Power on your Apple Watch so you can monitor iPhone battery life at a glance. Power will now show up in your Apple Watch glances for easy access, and you can also launch the Power app itself from the main Home screen of your Apple Watch. A quick note: be sure you launch the Power app on your iPhone at least once. It will ask you to allow it to send you notifications. I recommend doing this because it can send you notifications when your iPhone is 100% charged. I find this handy for when I’m running low on power and want to plug in and wander around the house. Instead of having to check my iPhone, a notification is instantly sent to me when my iPhone is done charging. I can also check the glance if I’d like to see the progress without having to wander back over to my iPhone.